The Herschel mission is led by the European Space Agency, with important NASA contributions. 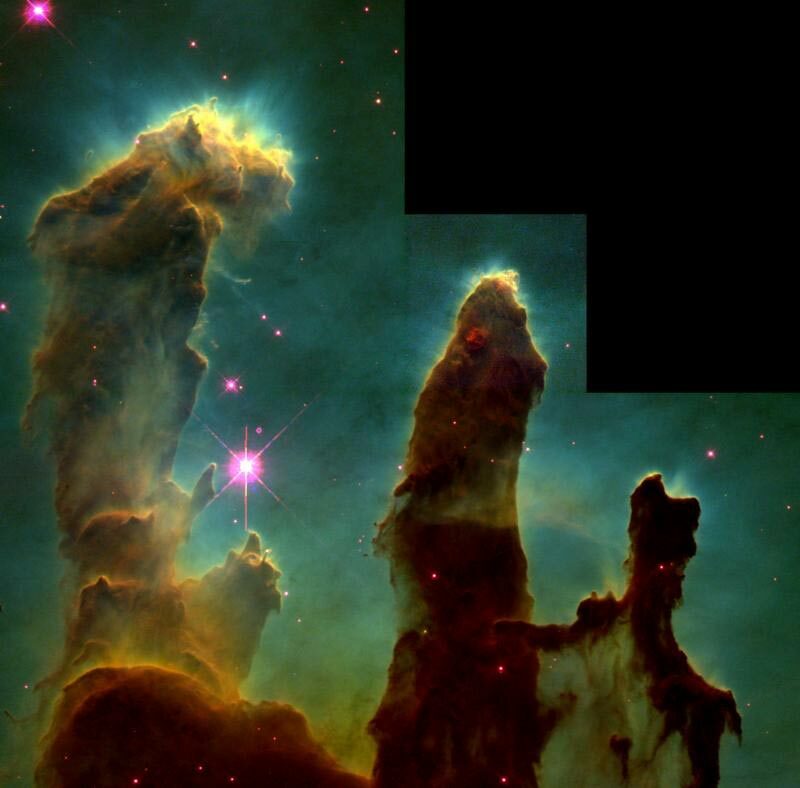 The Eagle nebula is 6,500 light-years away in the constellation of Serpens. It contains a young, hot star cluster, NGC6611, visible with modest backyard telescopes, which is sculpting and illuminating the surrounding gas and dust. The result is a huge, hollowed-out cavity and pillars, each several light-years long. The new Herschel image shows the pillars and the wide field of gas and dust around them. Captured in far-infrared wavelengths, the image allows astronomers to see inside the pillars and structures in the region. Herschel's image also makes it possible to search for young stars over a much wider region, and come to a much fuller understanding of the creative and destructive forces inside the Eagle nebula. Read the European Space Agency story at http://www.esa.int/SPECIALS/Herschel/SEMG4NMXDXG_0.html#subhead5 . More information is online at http://www.herschel.caltech.edu , http://www.nasa.gov/herschel and http://www.esa.int/SPECIALS/Herschel .